GM crops are now being grown over 170 million hectares by about 17 million farmers in 28 countries. Half of this acreage is in developing countries, including Brazil, Argentina, India, South Africa, China, Philippines etc. Most of these farmers have benefitted through increased yields, less use of pesticides and better weed management resulting in higher production and income as well as improved livelihoods. 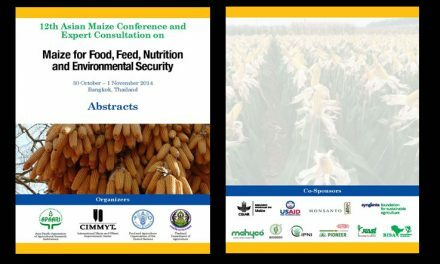 In Asia, GM crops are under commercial cultivation in China, India, Pakistan, Philippines and Myanmar. 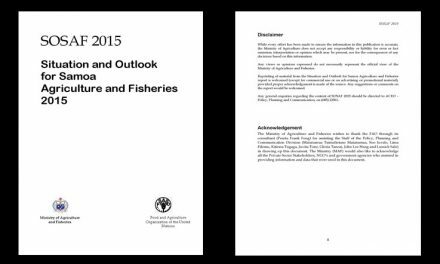 Japan, Korea, the Philippines, Thailand and Chinese Taipei have also approved GM crops for food and livestock feed. Biosafety regulatory systems are operational in several other countries, including Indonesia, Iran, Malaysia, Myanmar and Vietnam. Despite these gains, voices of opposition to GM crops have been raised from time to time on account of unfounded biosafety risks (environmental and health), cost of technology and economic benefits to the farmers. In fact, these concerns have been well addressed through extensive experimental studies, regulatory reviews, economic surveys and nearly 20 years of safe use of GM crops. In order to further dispel above concerns relating to biosafety, it is necessary that GM products are tested with the highest prescribed standards. Such an approach would help in building much needed confidence among technology users including farmers, consumers and the general public. 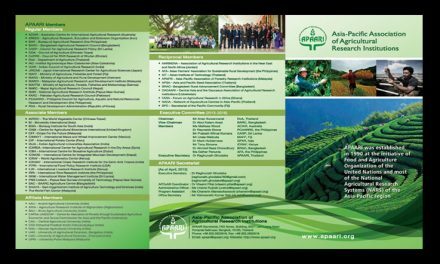 It is in this context, APAARI has been organizing regularly over last one decade, stakeholders’ meetings on different aspects of agricultural biotechnology and biosafety. 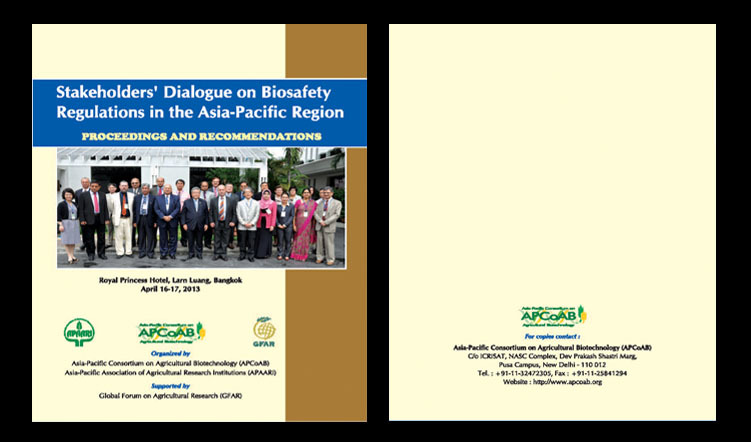 In view of the continuing need, a “Stakeholders’ Dialogue on Biosafety Regulations in Asia-Pacific Region”, was held on 16-17 April, 2013 in Bangkok, Thailand with the support of Global Forum for Agricultural Research (GFAR) involving experts from different countries in the region as well as experts from international organizations. 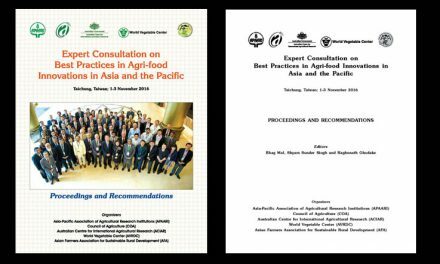 It is expected that the recommendations of the meeting included in this publication will help policy makers and national regulatory bodies to take appropriate decisions regarding safe application and commercialization of GM technology for the benefit of farmers and consumers in the region.